The world was turned towards the video content instead of reading the content. People are habituated to go for easy ways even while consuming the valuable content or entertaining content. They are looking for the time-saving ways to watch the things across the internet.Digital Video Fingerprinting is trending nowadays, let us have insight look on Video Fingerprinting. Yes, this time-saving way had decreased its efficiency in saving the time due to increase in the content across the platforms. This because the false and irrelevant content is drastically improved across the top video platforms like YouTube and it becomes tough to search for the right video and hence increased the search time than before. What are these Digital fingerprints? What are the benefits and advantages of the digital fingerprinting? Many platforms had developed an efficient copyright ID system to eradicate the content copying and fraudulent on its platform but, still you might notice several irrelevant and fake videos across the platform during your search queries with different keywords and hence make the platform a bit more complicated to get the right content. Video fingerprinting detection technology can detect the content-based signatures and watermarks matching with the original content. It extracts the minute and similar signatures from the test stream and compares with the original media file by working with a voting algorithm. The copy detection schemes can be a small number of relevant features which are generally from the original media called as fingerprints. Therefore the process is termed as a video fingerprinting. By utilizing the video fingerprinting technology, the platforms can prevent the fake and detect the false and irrelevant content that has violated the copyright laws. Digital fingerprinting is the important technology that plays a great role in the prevention and tracking of the copyrighted content in an efficient manner. By using this method, content owners can easily monitor, track and identify the copyright content across the video platforms. The Digital fingerprints are nothing but a digital impression that comes from the original content and its features with precise details to identify the content that is the variant. 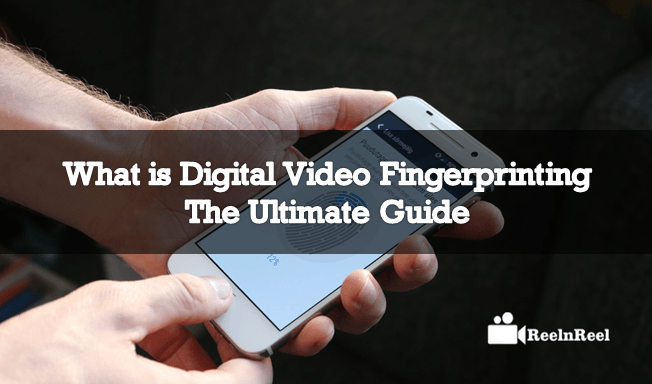 The algorithm that is in the fingerprinting of the video has different content properties like brightness level, camera cuts, snippets related to framing and many other things which represent the fingerprints. Theses variants can be helpful in the identification of the references in the database. The algorithm manages the data capture and frame level comparisons in a balancing for making it light in weight for better access, search, and storage. Various fingerprinting products are presently available in our market. The identification and the production of the fingerprint plays a key role in the content distribution and works with the flow of ability in the tracking and identification along with the active monitoring and monetization of the content. It also helps the publishers and supports them in the prevention of the infringement of the copyrights and other liabilities that are legal which are nothing but the DMCA rules. The digital representation was included with the extraction of the unique features of the content and the fingerprint submission of the rights registration along with the metadata. Along with this, the identification of the video with the comparison of the fingerprints in the existing database which checks for the infringements. It also included in taking action basing on the compared results and the action might be a blocking, deletion or authorization of the particular content. The web world grew over and over, and it becomes as a biggest biome for media. People are habituated to use the media, and their media consumptions rates were very high comparatively with the previous year’s records across the globe. The digitization had reduced the expenses and saved valuable time for the production and processing of the content to storage of the content and the distribution. The copyright infringement is manifesting in the multiple ways, and duplication was flooding all the efforts kept by the content creators and writers online. The Digital fingerprinting allows the publishers to reap significant benefits by giving value to their content across the paid video portals and social networking sites and can generate better revenue. Digital fingerprinting is useful in the identification of the content for the targeted ads and contextual targeting. It is helpful in the audience measurement metrics, especially in the analytics. It filters the content and monitors the broadcasting of the content. It is also helpful in the compliances on contract. It has automated content recognition abilities which can deliver the enhanced user experience with better engagement levels via second screen applications. It is very useful in the copyright control infringement and the revenue generation from the advertisements. The content duplication and the search can become very comfortable with the digital video fingerprinting. YouTube is the biggest and largest video destination for all web users. YouTube had already introduced strong content copyright laws on its platform. Its digital fingerprinting technology is termed as content ID. The content ID was designed specifically with the concerned algorithm that perfectly fitted the YouTube platform ecosystem. Since from 2007, YouTube has good content ID system which follows the copyright laws. So, at maximum, the content of the right owners or creators are more secure on YouTube platform, and it still needs several developments as YouTube had an extensive video database which is always increasing day by day and even hour to hour. Finally, we can expect a lot more features and significant developments in the digital video fingerprinting technology. We can expect a bright future.